Teddy bear clothes outfits for girl teddies. 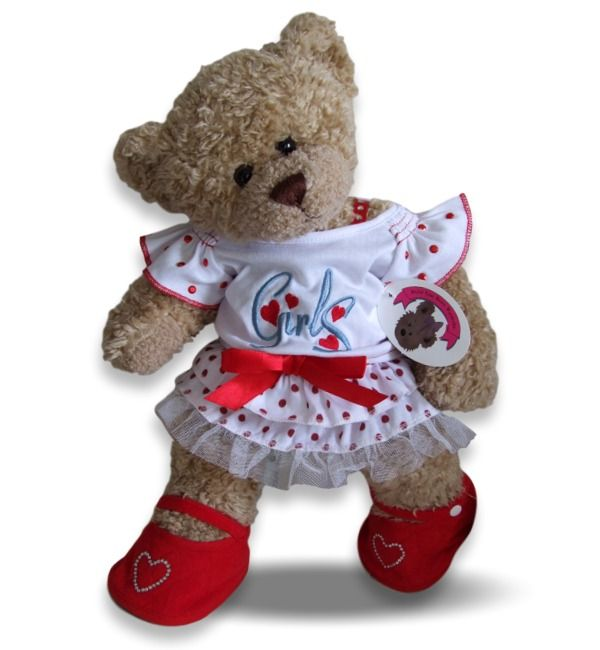 Build your bear an amazing wardrobe of fun fashion teddy bear clothing. Compatible fit for 38-40 cm (15-16") build a bear, Bear factory bears and many more popular brands of teddy bears. 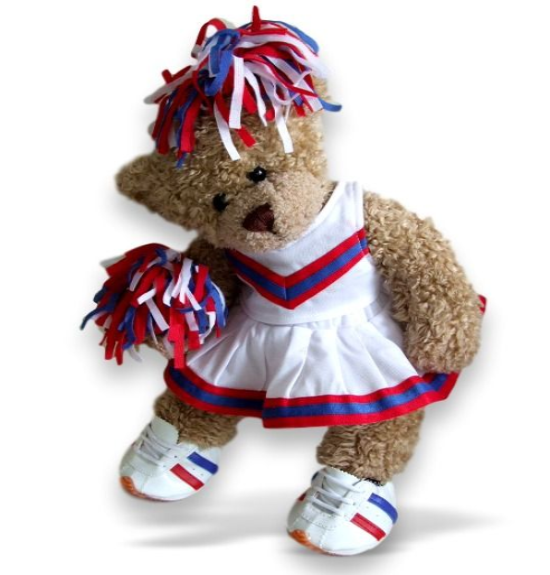 At build your Bears Wardrobe you will find teddy bear outfit for all teddy bear occasions, be it teddy bear party clothes, teddy bear wedding outfits for Bridesmaids and Flower girls, teddy bear clothes to have fun with! Compleat outfit with matching bag and shoes. A compatible fit for Build a Bear, Argos Design a Bear and many more teddies of a similar shape and size. Pink Zebra Outfit, teddy bear clothes a compatible fit for 38-40 cm Build a Bear, Argos Design a Bear and many more teddies of a similar shape and size. Teddy bear clothes I love pink outfit and bag. A compatible fit for Build a Bear, Argos Design a Bear and many more teddies of a similar shape and size. Teddy bear clothes pink floral heart vest top, skirt and leggings outfit. A compatible fit for Build a Bear, Argos Design a Bear and many more teddies of a similar shape and size. Teddy bear clothes pink sparkle swimsuit, vest, skirt goggles. A compatible fit for Build a Bear, Argos Design a Bear and many more teddies of a similar shape and size. Teddy Bear Clothes Monsters Pinc Tutu Outfit! Monsters Pinc! Fitting Build Bear Teddy Bear Clothes, build your bears a new wardrobe of teddies clothes. Hooded jacket (has ear slits) top tutu skirt monster shoes, teddy bear clothes, a compatible fit for Build a Bear, Argos Design a Bear and many more teddies of a similar shape and size. Teddy bear clothes fit build a bear, witch dress with hat teddy bears clothing. Build your bears a new wardrobe of teddies clothes. Teddy bear clothes Happy Birthday Cake Outfit a compatible fit for Build a Bear, Argos Design a Bear and many more teddies of a similar shape and size. 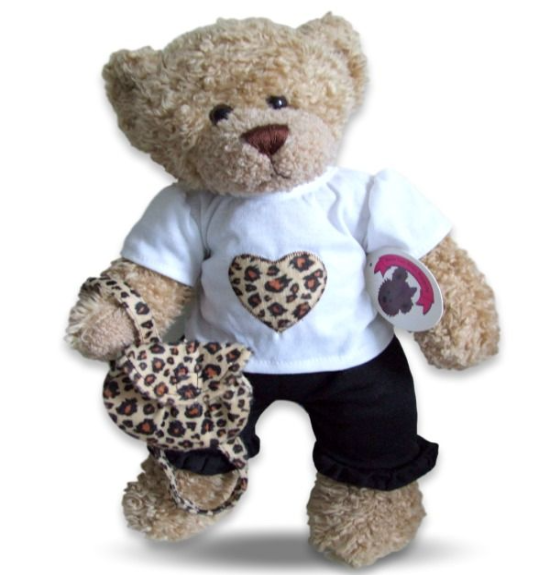 Teddy bear clothes leopard print outfit a compatible fit for Build a Bear, Argos Design a Bear and many more teddies of a similar shape and size. Teddy bear clothes super star t-shirt and shorts outfit. A compatible fit for Build a Bear, Argos Design a Bear and many more teddies of a similar shape and size. Teddy bear clothes fit build a bear, white satin & sequin outfit bears clothing. Build your bears a new wardrobe of teddies clothes. Teddy bear clothes fit build a bear pink knitted jacket with satin skirt bears clothing. Build your bears a new wardrobe of teddies clothes. Teddy bear clothes pink top with white frilled skirt and hat. A compatible fit for Build a Bear, Argos Design a Bear and many more loved teddies of a similar shape and size. Teddy bear clothes frilly rainbow top & denim shorts outfit. A compatible fit for Build a Bear, Argos Design a Bear and many more teddies of a similar shape and size. Teddy Bear Clothes fit Build a Bear Teddies ​​​​​​​Black jacket Vest & Leggings Outfit Teddy Clothing. Build your bears a new wardrobe of teddies clothes. Teddy Bear Clothes fit Build a Bear, Red Polka Dot Outfit with 'GIRL' Embroidered Detail Teddy Clothing. Build your bears a new wardrobe of teddies clothes. Teddy bear clothes red ladybird outfit red & white stripe leggings. A compatible fit for Build a Bear, Argos Design a Bear and many more teddies of a similar shape and size. Teddy bear clothes Red'n'Black outfit. A compatible fit for Build a Bear, Argos Design a Bear and many more teddies of a similar shape and size. Teddy bear clothes red leopard fleece outfit. A compatible fit for Build a Bear, Argos Design a Bear and many more teddies of a similar shape and size. Valentine's outfit. Red heart on white t-shirt teamed with full red skirt. Fits Build a Bear, Argos Design a Bear plus many more similar shape size bears. Teddy bear clothes fit build a bear, chef cook teddy bears clothing. Build your bears a new wardrobe of teddies clothes. Teddy bear clothes purple bear t-shirt and shorts outfit. A compatible fit for Build a Bear, Argos Design a Bear and many more teddies of a similar shape and size. Blue hooded top with jeans make up this outfit teddy bear clothes a compatible fit for Build a Bear, Argos Design a Bear and many more teddies of a similar shape and size. 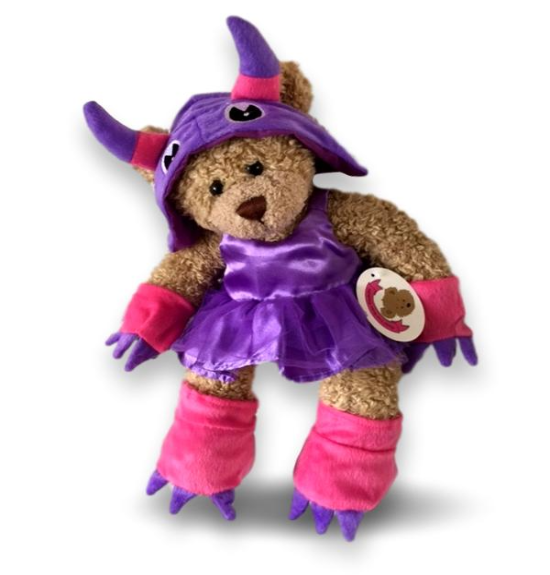 Teddy bear clothes fit build a bear, purple fairt outfit teddy bears clothing. Build your bears a new wardrobe of teddies clothes. Teddy bear clothes candy pink long sleeved top, white trousers and visor. Compatible fit for Build a Bear, Argos Design a Bear and many more teddies of a similar shape and size. Teddy bear clothes all-in-one leopard sleeper outfit a compatible fit for Build a Bear, Argos Design a Bear and many more teddies of a similar shape and size. Teddy bear clothes summer outfit is a compatible fit for a larger 16-18 inch teddies.